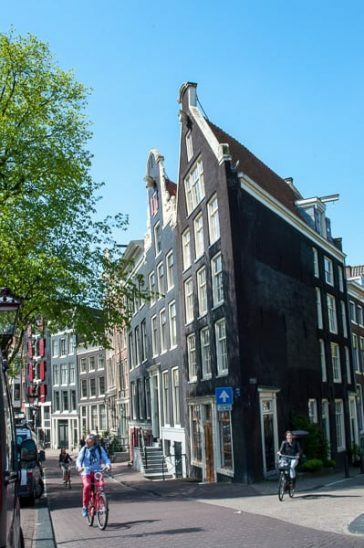 The leaning buildings in Amsterdam would indicate that the city’s on a bit of a tilt. And, if you’re wondering, no I didn’t partake of anything I shouldn’t have in its infamous coffee shops. Well maybe just the odd glass of red…. But as we walked the pretty canals of the city we soon noticed that many of the tall, skinny, Amsterdam houses were on a distinct teeter. In fact some looked positively tipsy. It seems Amsterdam buildings lean every which way. 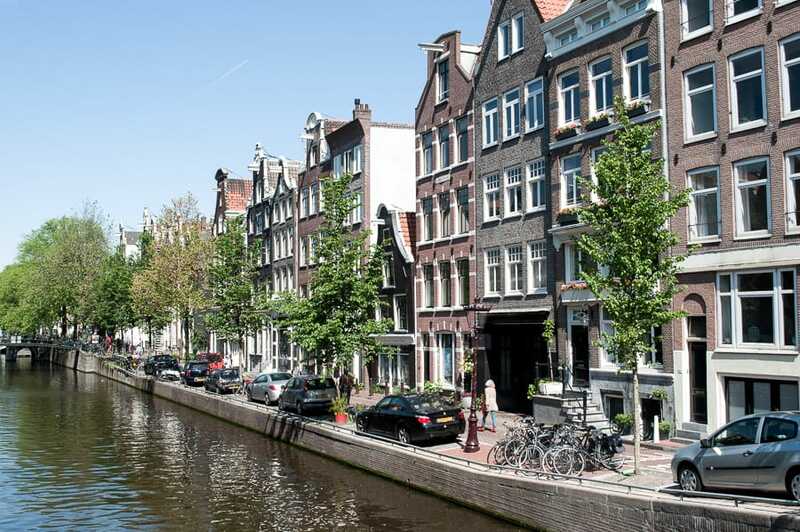 Why are Amsterdam Houses so narrow? Until I saw for myself I had no idea that there are crooked houses in Amsterdam. So why are these buildings tilted? They suffer, to a large extent, from subsidence and many buildings built on wooden stilts have foundation problems which account for their somewhat squiffy appearance. Some Amsterdam houses lean so far forward that they look in danger of collapse. There is, in fact, method in their tilted madness – and it’s not due to subsidence. These houses have very narrow, steep staircases and, in times gone by, in a city prone to flooding, it would have been impossible to quickly shift goods and possessions of any value to the higher floors. So, why do Amsterdam’s buildings have hooks? 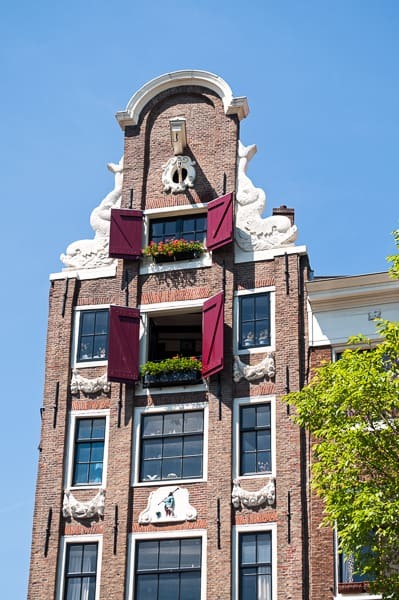 Many of Amsterdam’s leaning buildings have a cantilevered beam and hook protruding from the gable at roof height. These would be used to winch possessions, and merchandise in the case of warehouses, to the upper levels. The houses were built with a forward incline to help prevent items from colliding with the building façade on their way up. So now you know why there are leaning houses in Amsterdam and why they have hooks. The gables to which the winch and pulleys are attached hint at some of the history of the buildings and the trades that were carried out there. The gabled architecture gradually evolved from simple ‘triangle’ and ‘stepped’ gables to more decorative ‘neck’ and ‘’bell’ gables. Due to the instability of the land planning laws in the 15th century were strict. Planning required that facades be built of lightweight materials with large windows to reduce weight. Taxes were charged according to the width of the frontage which explains why most Amsterdam houses are lean and skinny. During the 17th century the city became more prosperous and with that wider, double-fronted merchant houses sprung up along the Gentlemen’s Canal and Golden Bend with elaborate gables and statuary. 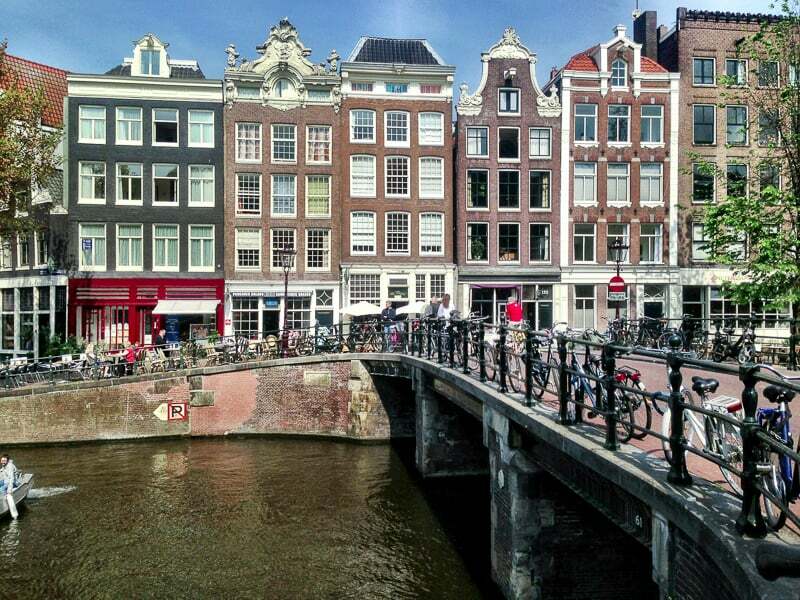 Probably the most famous house is the Anne Frank house in Amsterdam. 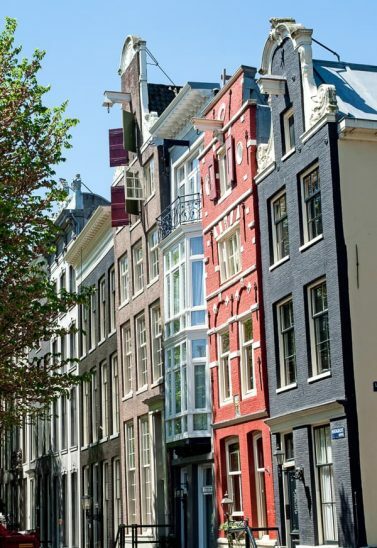 The former home of Anne Frank attracts around a million visitors a year. 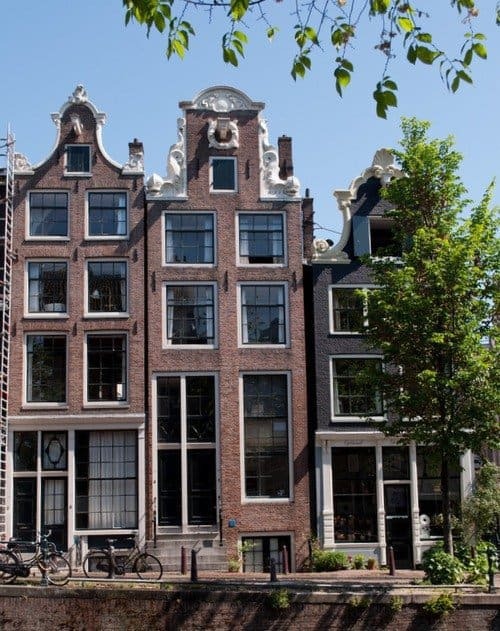 For over two years Anne Frank and her family hid in the annex of the building at Prinsengracht 263 where Anne’s father, Otto Frank, had his business. Whenever we passed the building there were long queues lining up outside for tickets – we’d booked online and bypassed the queues but I’d recommend you do this a couple of weeks in advance to get your chosen times. 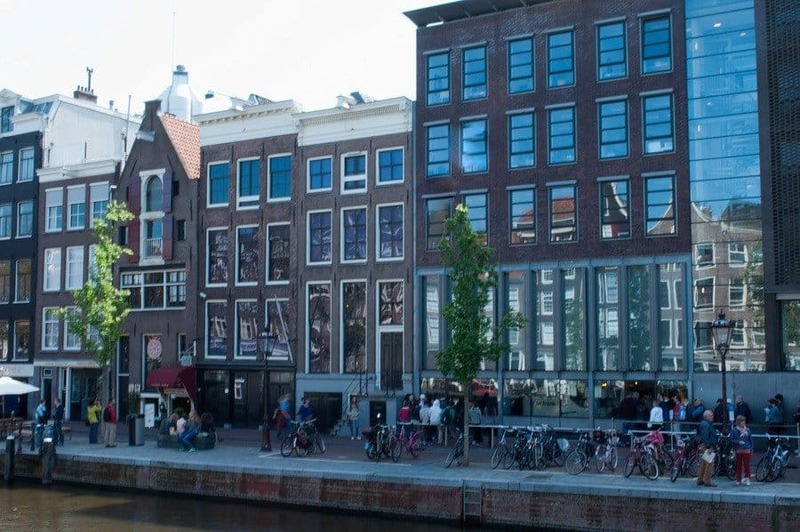 The museum is a sobering and thought-provoking experience and the exhibits portray the hardships that the family endured – and to no avail since Otto Frank was the only surviving family member to walk free from the concentration camps. Pushing the door disguised as a bookcase to ascend the stairs to the attic was a particularly poignant experience. Having had an insight into the occupants’ lives through the exhibits and displays on the way through the building I felt incredibly saddened knowing I was following a route they’d trod many times to their secret hiding place. 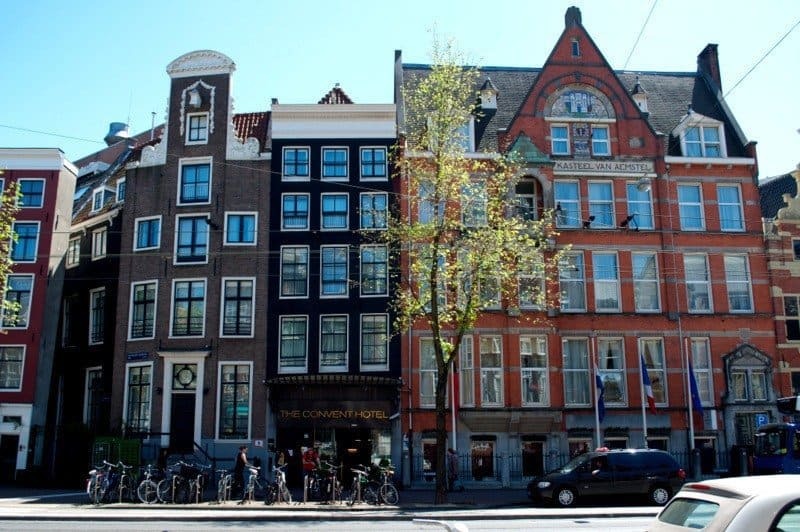 We stayed at the recently renovated McGallery flagship boutique hotel in the heart of the city – Ink Hotel Amsterdam (although it was called The Convent Hotel when we were there). 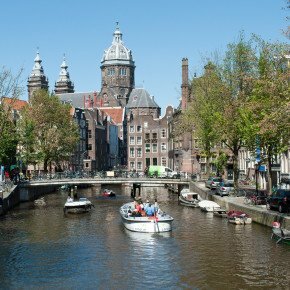 It’s just a 10-minute walk from Dam Square in one direction and Jordaan District and the canals in the other. 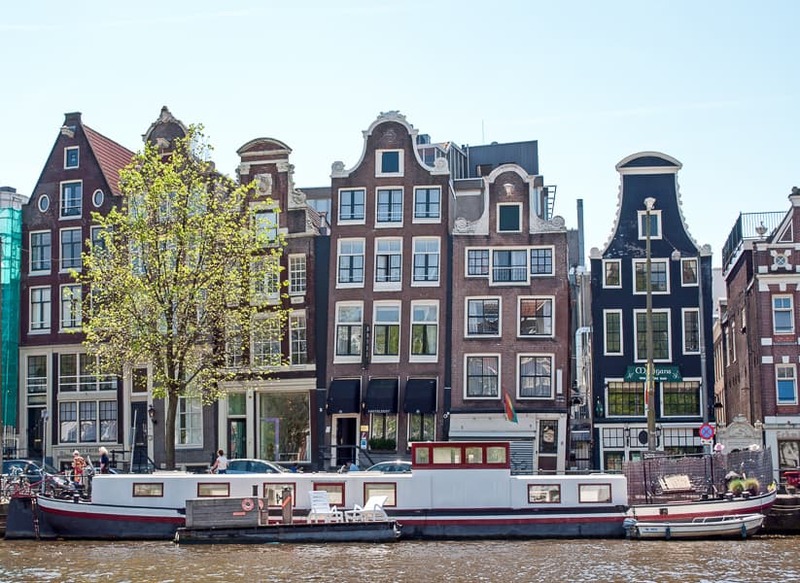 Perfect for visiting the main sights in the city centre and the quieter, pretty canal-side cafes, shops and restaurants of the Jordaan area. The main railway station is also just a ten-minute walk away with frequent trains to and from Schiphol Airport. The hotel has, in the past, been home to two monasteries and the headquarters of Dutch newspaper ‘De Tijd’. 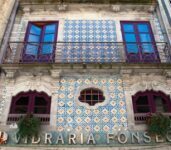 It is made up of five buildings and there are many original features hinting at its past. We found it a perfect base for our stay in Amsterdam. Check availability and rates at INK Hotel Amsterdam – MGallery by Sofitel, Burgwallen-Nieuwe Zijde, Amsterdam, The Netherlands or other Amsterdam hotels and hostels. 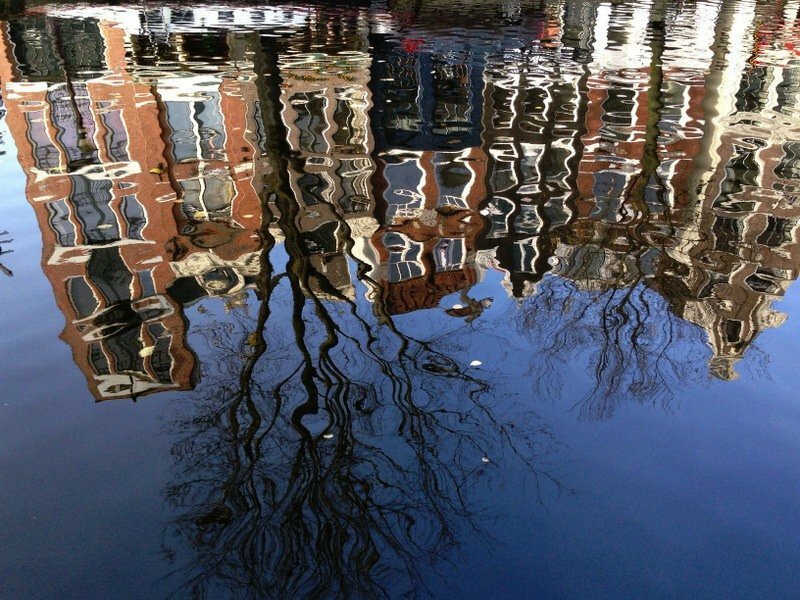 Excellent variety of Amsterdam photos. Thank you – so much to shoot! These photos look great! I will be travelling to Europe at the beginning of next year but I am still indecisive on the last few countries I will be visiting. 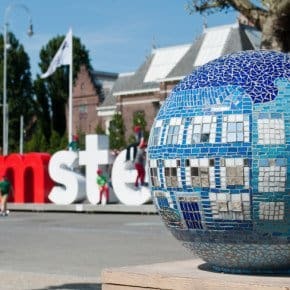 After reading this post I am thinking Amsterdam may be another destination on my list! I loved Amsterdam and there’s so much see and do. I’d definitely recommend it. Will keep an eye on your travels – have fun! I mistook squiffy for tipsy too 😀 Beautiful photos Suzanne. I had forgotten how skewed these houses are! I thought squiffy might capture readers’ attention a little more! When I started to read I thought it was an entry for “Tilted” at Where’s my Backpack. Good information and great photos. Perfect for sharing. I posted just a day too early otherwise, you’re right, would have been perfect for ‘Tilted’! I must confess to having my share of squiffy moments Jo. Cheers! Good tip about pre-booking at Anne Frank’s house. My wife and her mate queued for two hours when they went recently. Squiffy is a great word … I hope none of the beautiful houses end up toppling into the water. There were quite a few under repair – I think they’re on top of it. I like squiffy too! Amsterdam … is like Copenhagen, a very free spirit city … and vibrant – plus you have to look out for all the bikers *smile – the old canal house are so beautiful … Gdansk in Poland has the same type … also Stockholm – all the towns that was in the old Hanseatic League, was a trade union monopoly of mostly German or German-dominated cities, which from the mid 1300s to mid 1600s idkade common trade along the North and Baltic Sea, which protected their trade to competition. Has this type of houses. 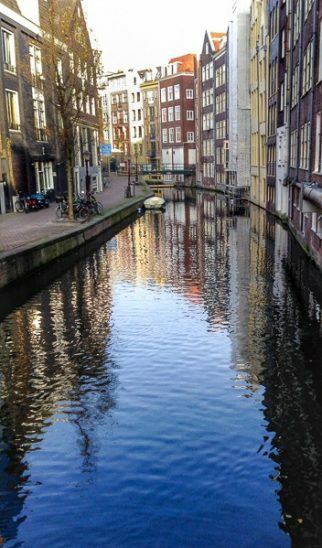 Your photos are fantastic … personal I love Amsterdam – but I been robbed twice staying on the same hotel .. with years in between, very strange. Check out your hotel’s website – nice .. hotels are very expensive in Amsterdam. only con with the city. Yet to visit Poland but its on the list! Thank you for filling in some of the history. Agree re hotel prices – we could have gone for cheaper hotel further out of town but it would cost in time & tram fares so decided on city centre. Not worth taking a hotel … outside Amsterdam .. the travelling and time – as you rightly said. It’s a fantastic city … and I love their massive “pannenkoeken” Poland is a beautiful country with some history – Krakow is the place to visit. Ahh the pannenkoeken – I had one for breakfast with lemon and sugar one morning. Huge! 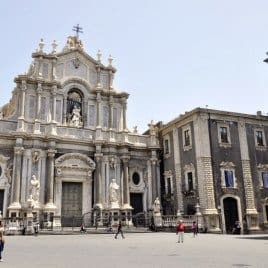 Another good and useful post Suzanne, plus good photos. Thanks. Thank you Terri – wasn’t sure abot using squiffy in the heading but it’s a word that makes me smile so hey! Lovely photos and lovely blue sky! I have only ever been to Amsterdam in the autumn when it is generally cold and grey. Must remedy that!